In Boston’s downtown Occupy, police let in the drugs and keep out the supplies. Despite that, the protestors are determined to build a new kind of city. 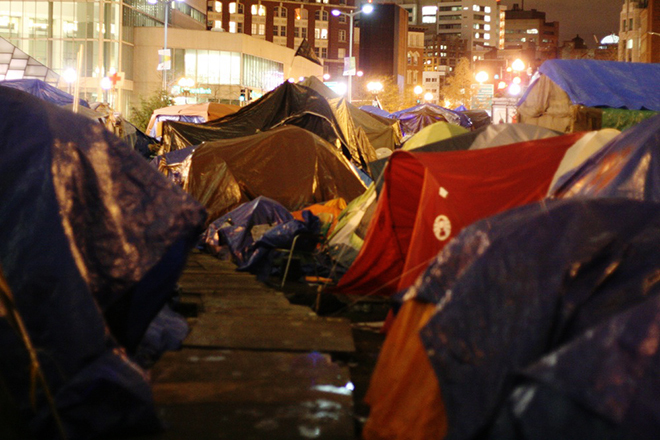 Between the 19th and the 21st of November, Occupy Boston had two teach-ins, a street-theater training, a reggae concert, and countless meetings — managing to use one of those as a cover to sneak a large weatherized tent past the ever-present Boston Police. It was a member of the Occupy Boston’s Women’s caucus that told me they’d managed it, grinning widely, just as the tent was being set up as a dry, safe, and relatively warm place for women to shelter in the Occupy. “It’s considered contraband,” she said, though she was gone before I could ask who considered it so. It was my introduction to the problems faced by these new residents of Dewey Square, in Boston’s Financial District, where it plays out its particular flavor of protest camp in the shadow of the Federal Reserve Bank of Boston. Jose Wiley, 32, volunteers in Logistics and lives at the Occupy. He moved to Los Angeles to become a filmmaker, but returned frustrated and unable to find work. Wiley mans the Logistics tent, a shade structure with shelves of organized, masking-tape-and-marker-labeled supplies, sitting next to piles of as yet unsorted donations. It’s incredibly busy. While we talk, he still handles requests, giving out batteries to members of the Safety crew, socks to old homeless men, and telling people where to go to find food, blankets, and other people in the Occupy. Harvard’s no stranger to exclusivity, but the Occupy protestors in Harvard Yard don’t appreciate the guards keeping them in and non-students out. 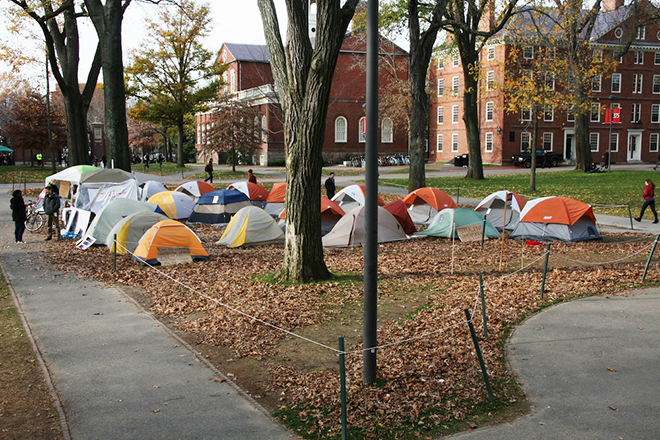 When Harvard’s Occupy set up camp in the famous Harvard Yard, the university didn’t evict them or harass them. Instead, the Ivy League institution just made the protest exclusive by cloistering the protestors off from the outside world. That makes Harvard’s Occupation far different from the boisterous, embattled and gritty Boston Occupation just a few miles away (see the accompanying story). The Yard is ringed with old, beautiful brick buildings, which are in turn ringed with an iron and brick fence. Harvard-hired guards and Harvard police man the gates around the Occupy encampment 24 hours a day, checking for Harvard IDs. The only visitors the Occupy protestors ever see are those who have a Harvard ID, and those who jump the fence quietly when no one is looking. I did neither. I stationed myself at the front desk of the building that contained Harvard’s Department of News and Media Relations. I stayed there for a little over an hour, calling their office repeatedly and mailing the director to say I was right downstairs, and wanted to interview the Occupy. Eventually, they sent a staffer to walk me past the guards. She stood quietly by in the cold and waited as I explored Harvard’s small Occupy and spoke with its participants. They’ve attracted high-profile visitors including Nobel Peace prize nominee Ahmed Mahar of the Egyptian protests. But even for him, the university did not relent in their policy; Mahar wasn’t allowed into the Yard, and delivered his address through the fence using the people’s mic — where occupiers and other Harvard ID-carrying supporters repeated Mahar in phrase-long chunks. “Here’s this guy that overthrew a government, and he couldn’t get into Harvard,” says Divinity grad student Jeff Bridges, laughing. A single phone call to a contractor could have prevented a host of errors arising around the recent investigation of a failed water pump in Illinois. This is the assertion of the man who says he was behind the mysterious Russian IP address that was erroneously attributed to the pump failure. The man spoke exclusively with Wired. 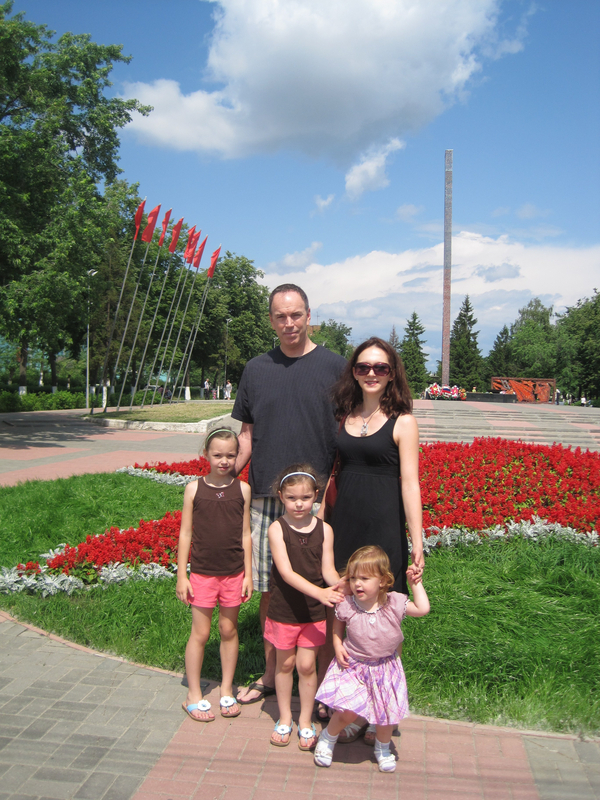 Jim Mimlitz on vacation in Russia last June with his wife and three daughters. Photo courtesy of Jim Mimlitz. It was the broken water pump heard ’round the world. Cyberwar watchers took notice this month when a leaked intelligence memo claimed Russian hackers had remotely destroyed a water pump at an Illinois utility. The report spawned dozens of sensational stories characterizing it as the first-ever reported destruction of U.S. infrastructure by a hacker. Some described it as America’s very own Stuxnet attack. Except, it turns out, it wasn’t. Within a week of the report’s release, DHS bluntly contradicted the memo, saying that it could find no evidence that a hack occurred. In truth, the water pump simply burned out, as pumps are wont to do, and a government-funded intelligence center incorrectly linked the failure to an internet connection from a Russian IP address months earlier. Now, in an exclusive interview with Threat Level, the contractor behind that Russian IP address says a single phone call could have prevented the string of errors that led to the dramatic false alarm. Mimlitz’s small integrator company helped set up the Supervisory Control and Data Acquisition system (SCADA) used by the Curran Gardner Public Water District outside of Springfield, Illinois, and provided occasional support to the district. His company specializes in SCADA systems, which are used to control and monitor infrastructure and manufacturing equipment. Mimlitz says last June, he and his family were on vacation in Russia when someone from Curran Gardner called his cell phone seeking advice on a matter and asked Mimlitz to remotely examine some data-history charts stored on the SCADA computer. Mimlitz, who didn’t mention to Curran Gardner that he was on vacation in Russia, used his credentials to remotely log in to the system and check the data. He also logged in during a layover in Germany, using his mobile phone. “I wasn’t manipulating the system or making any changes or turning anything on or off,” Mimlitz told Threat Level. But five months later, when a water pump failed, that Russian IP address became the lead character in a 21st-century version of a Red Scare movie. 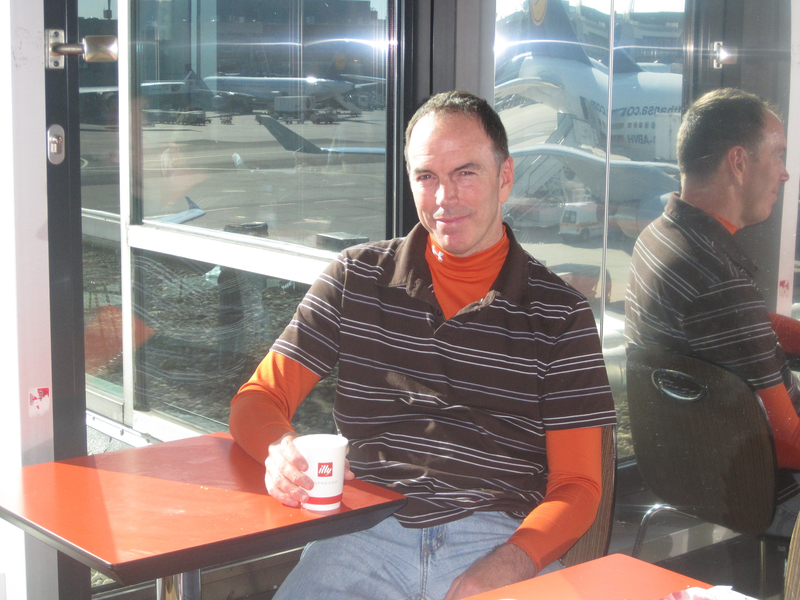 Jim Mimlitz at the airport in Frankfurt, Germany, during a layover last June on his way to Russia. Courtesy of Jim Mimlitz. On Nov. 8, a water district employee investigating the pump failure called in a contract computer repairman to check it out. The repairman examined the logs on the SCADA system and saw the Russian IP address connecting to the system in June. Mimlitz’s username appeared in the logs next to the IP address. But from there, the information made its way to the Illinois Statewide Terrorism and Intelligence Center, a so-called fusion center composed of Illinois State Police and representatives from the FBI, DHS and other government agencies. Even though Mimlitz’s username was connected to the Russian IP address in the SCADA log, no one from the fusion center bothered to call him to ask if he had logged in to the system from Russia. Instead, the center released a report on Nov. 10 titled “Public Water District Cyber Intrusion” that connected the broken water pump to the Russian log-in five months earlier, inexplicably stating that the intruder from Russia had turned the SCADA system on and off, causing the pump to burn out. “And at that point … all hell broke loose,” Craven said. Whoever wrote the fusion center report assumed that someone had hacked Mimlitz’s computer and stolen his credentials in order to use them to hack into Curran Gardner’s SCADA system and sabotage the water pump. It’s not clear whether it was the computer repairman or the fusion center that first jumped to this conclusion. A spokeswoman for the Illinois State Police, which is responsible for the fusion center, pointed the finger at local representatives of DHS, FBI and other agencies who are responsible for compiling information that gets released by the fusion center. But DHS is pointing the finger back at the fusion center, saying if the report had been DHS-approved, six different offices would have had to sign off on it. “Because this was an Illinois [fusion center] product, it did not undergo such a review,” a DHS official said. The report was released on a mailing list that goes to emergency management personnel and others, and found its way to Joe Weiss, managing partner of Applied Control Solutions, who wrote a blog post about it and provided information from the document to reporters. The subsequent media blitz identified the intrusion as the first real hack attack against a SCADA system in the U.S., something that Weiss and others in the security industry have been predicting would happen for years. The hack was news to Mimlitz. He put two and two together, after glancing through his phone records, and realized the Russian “hacker” the stories were referring to was him. Teams from the FBI and DHS’s Industrial Control Systems-Cyber Emergency Response Team (ICS-CERT) subsequently arrived in Illinois to investigate the intrusion and quickly determined, after speaking with Mimlitz and examining the logs, that the fusion center report was wrong and should never have been released. “I worked real close with the FBI and was on speakerphone with the fly-in team from CERT, and all of them were a really sharp bunch and very professional,” Mimlitz said. DHS investigators also quickly determined that the failed pump was not the result of a hack attack at all. Mimlitz said there was also nothing in the logs to indicate that the SCADA system had been turned on and off. He cleared up another mystery in the fusion report as well. The report indicated that for two to three months prior to the pump failure, operators at Curran Gardner had noticed “glitches” in their remote access system, suggesting the glitches were related to the suspected cyber intrusion. But Mimlitz said the remote access system was old and had been experiencing problems ever since it was modified by another contractor. Joe Weiss says he’s shocked that a report like this was put out without any of the information in it being investigated and corroborated first. Asked if the fusion center is investigating how information that was uncorroborated and was based on false assumptions got into a distributed report, spokeswoman Bond said an investigation of that sort is the responsibility of DHS and the other agencies who compiled the report. The center’s focus, she said, was on how Weiss received a copy of the report that he should never have received. Additional reporting by Ryan Voyles in Illinois. Symantec is familiar with baits commonly used in Chinese phishing sites. A grand prize, for instance, is often used as phishing bait. This November, 2011, phishers continue with the same strategy by including a brand new iPad 2 for a prize. The phishing sites were hosted on a free webhosting site. The phishing page spoofs the Chinese version of a social networking gaming application. What is most interesting about the phishing page is that it displays a warning for an incorrect password (in red) even before any user credentials are entered. The phishing site announces to users that all fields are required to be filled before proceeding to the lucky draw. Users are prompted to enter their email address, password, email password, and birth date. The phishing site then states the winning email addresses will be drawn and winners would receive an iPad 2 and prize money of 50 million dollars. Ironically, the phishing page wishes good luck to the user towards the bottom of the page. After a user enters their credentials, the phishing page redirects to a legitimate application page of the social networking site. A similar phishing attack was observed later during the same month only this time the phishing site was in English. The difference in this particular phishing site from the previous example is that it declares the user as a winner in advance. An amount of 124 million dollars in poker chips is claimed as the prize money and the user is prompted to login to attain the prize. The same set of credentials were asked in this phishing site as well. At the bottom of the page, an iPad 2 is stated as a bonus gift in addition to the prize money. After the credentials are entered, the phishing page gives an error of incorrect password. Upon entering the credentials for the second time, the phishing page redirects to the legitimate application page. If users fell victim to these phishing sites, phishers would have successfully stolen their information for identity theft purposes. When entering personal or financial information, ensure the website is encrypted with an SSL certificate by looking for the padlock, ‘https’, or the green address bar. Frequently update your security software (such as Norton Internet Security 2012) which protects you from online phishing.